There are a lot of things I am grateful for in world, but probably the thing I am most grateful for is Mike. Its hard for me to even put into words the love I have for him. These images mean so much to me, the giant cheesy smiles on our face are so real and he keeps me smiling through all the tough stuff. He is my rock and did everything in his power to make my pregnancy as comfortable as he could. Making sure I was resting, had the food I was craving, taking care of the house when I couldn't- the list goes on and on.. I couldn't love him more. A huge thank you to my talented sister. She is always there with the camera reminding me to take the time and capture these moments. 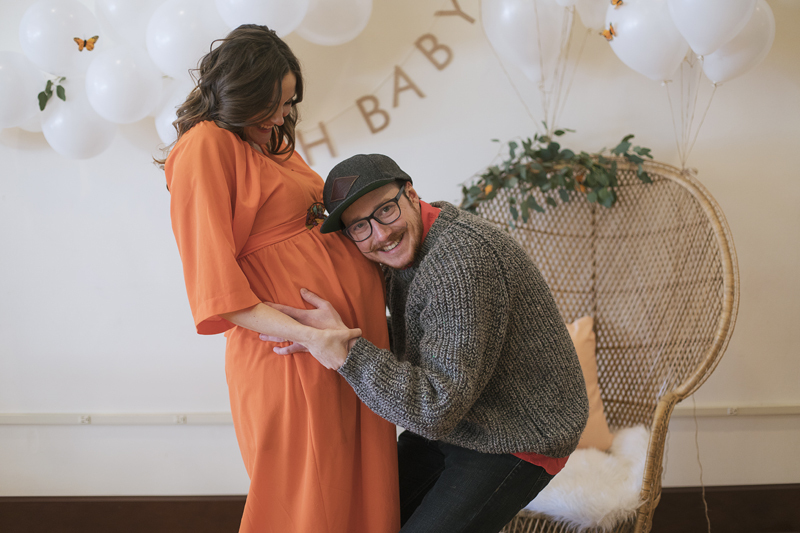 This maternity shoot almost didn't happen, at 36 weeks along by this time not feeling super hot, no energy and standing and moving was becoming increasingly painful. I am so glad that she insisted, I love these images, I love this time in my life and I will cherish these for a lifetime. See more of my sisters incredible work H E R E .